If you are experiencing a dental emergency, it is important to get help right away. Cherry Street Family Dentistry offers emergency dental treatment for patients so that they may get out of pain as soon as possible. Dr. David Jump provides a variety of treatment options for his Tulsa patients that alleviate pain and help restore a healthy smile. An emergency is any situation that requires immediate attention, and a dental emergency deals with the immediate care of the teeth, jaw, and gums. If a patient is experiencing significant discomfort or consistent pain, it is usually a sign that they need to receive emergency treatment. If you are experiencing a dental emergency, it is important to receive help right away. Pain and discomfort can be debilitating and keep you from carrying out your daily routine. Don’t wait until the discomfort becomes unbearable, see Dr. David Jump immediately. When a patient is in pain, our goal is to figure out the cause. Alleviating an emergency is important because it keeps pain at bay and stops the spread of possible infection. Dr. Jump can relieve your pain and ensure your comfort simultaneously. 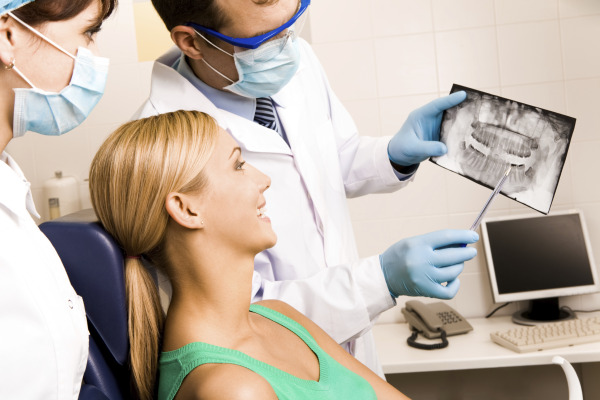 When you come into our office with a dental emergency, we will take x-rays and locate the source of your pain. We perform a number of tests to determine the source and the extent of your dental emergency. From there, we will design a treatment plan that eliminates your pain. If you are in need of emergency dental treatment, you should not wait any longer. Contact Cherry Street Family Dentistry today at (918) 742-2888 and schedule an appointment for prompt emergency treatment.